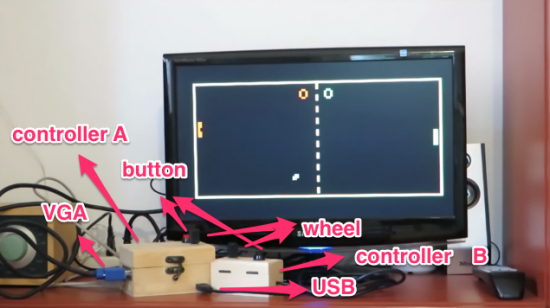 Because the device started as a pong game, [Rob’s] version has two boxes, each with a pot and a button. Of course, if you were really building it just for the drawing toy, you’d probably put it all in a box. Maybe even a red box. If we were building it, we’d be tempted to put a tilt sensor or an accelerometer in the box so you could shake it to erase the picture. Just saying. If you want 640×480 resolution from an Arduino, it can be done, but it takes more hardware. 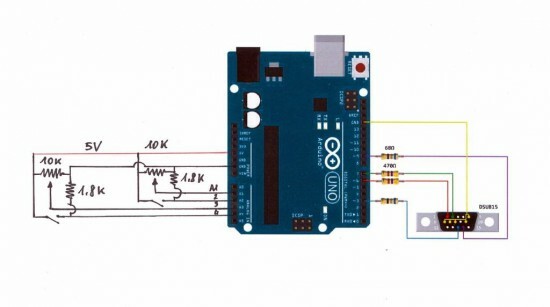 If you were trying to get a kid interested in Arduino, you could do worse than start with two projects with video that are fun, use a handful of easy-to-source parts, and shares hardware. 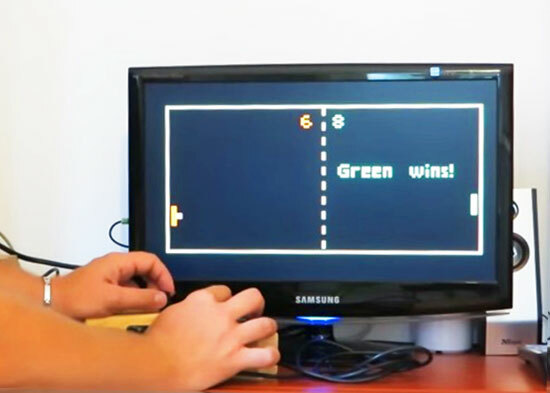 Then again, if you are in the “go big or go home” camp, we’d redirect to this pong game, instead. 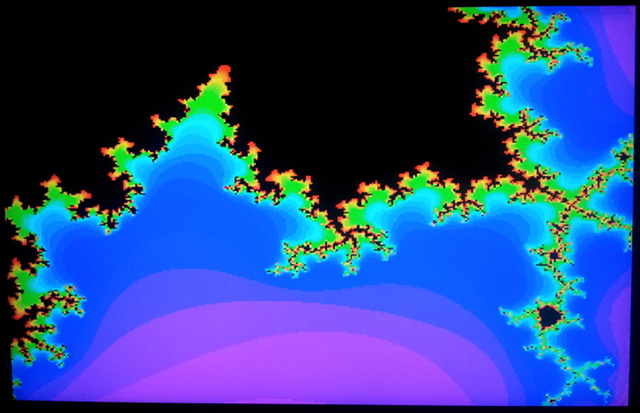 [Stimmer] on the Arduino Forum hardcoded a way to display 160×240 (320×240 after some posts) VGA signal. After working out how to do a timer interrupt I’ve had a go at making a VGA framebuffer. It is rather low-res at present(160×240) and fuzzy but I hope to be able to improve that. It has 8-bit colour (RRRGGGBB). 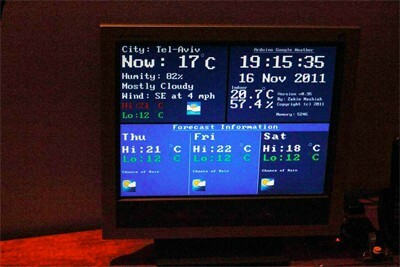 Arduino kit beams low-fi Google Weather to VGA screens originally appeared on Engadget on Tue, 22 Nov 2011 08:31:00 EST. Please see our terms for use of feeds.